EVOBOX magnetic box made from 1200 g/sqm cardboard, Two flap fixed inside with velcro. A5 format. The box is delivered flat in one piece. Sold with thermoformed plastic insert for chocolates and a cushion pad. 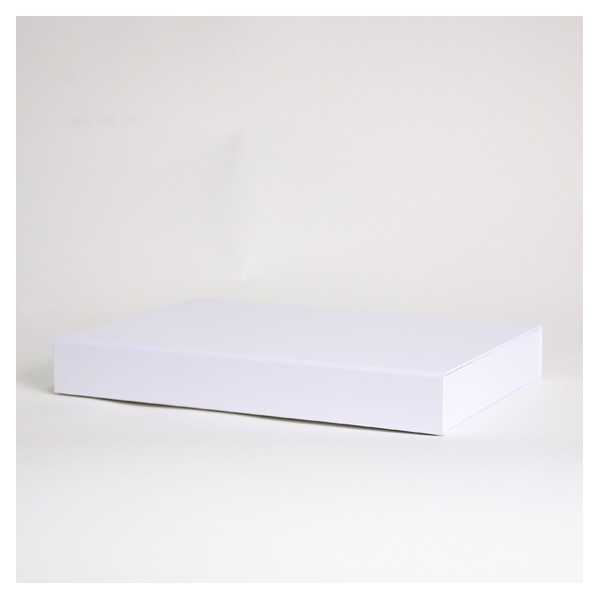 A carton contains 25 boxes, 25 inserts and 25 cushion pads. By buying this product you can collect up to 72 loyalty points. Your cart will total 72 points that can be converted into a voucher of 0,72 €.